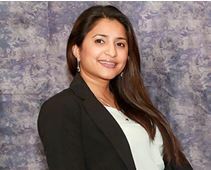 Dr. Pancholi-Parekh completed her Master of Science in Physical Therapy (MSPT) in 2001 and completed her post professional clinical doctorate degree (DPT) in 2005 both from Rutgers University, formerly known as UMDNJ, Newark NJ. She has provided for both pediatric and adult patients in a range of settings including, school based, EIP, outpatient, aquatics, acute care, sub-acute, and SNF. For over a decade she has worked with PRNY, rising to become a partner in 2009 and is currently the Vice-President and the Director of Physical therapy PRNY. Her professional development has included advanced NDT training, Sensory Integration training and in C1 and C2 Schroth based scoliosis specific exercises from the Barcelona Scoliosis Physical Therapy School (BSPTS). As a clinical instructor for Rutgers Doctoral PT program (North and South campus) and Quinnipiac University, she provides invaluable clinical experiences for doctoral students wishing to pursue pediatrics. Administratively, she developed and maintains the company's website, practice management and budgeting and provides lectures/in-services for professionals, physicians, and the community. She also serves as a lab assistant for the C1 certification for 3 Dimensional treatment of Scoliosis, BSPTS, for the classes held in the NYC/ Boston area. Dr. Pancholi-Parekh has also joined Shift Scoliosis as part of their Medical Advisory Board. Memberships past and present include: APTA, APTANJ, SOSORT, and pending completion of SRS application. She is happily married with 3 children and resides in northern NJ.